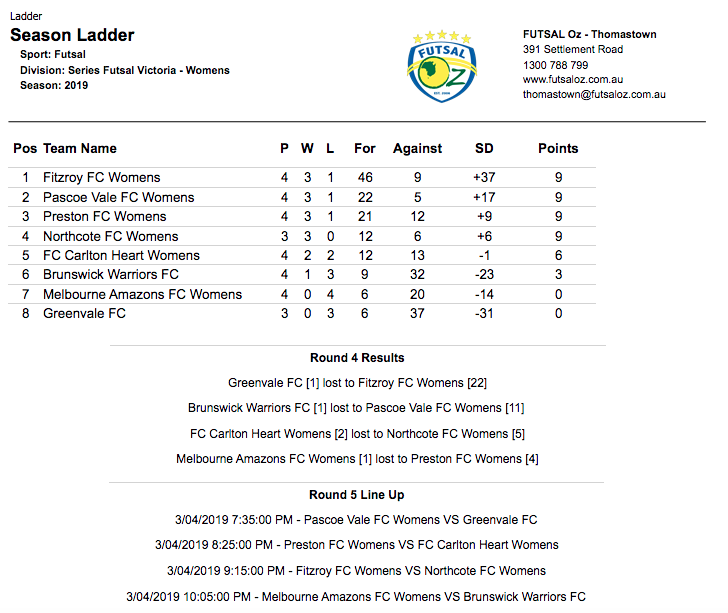 The opening game of the night saw bottom placed Greenvale, take on ladder leaders Fitzroy. From the outset, it was all Fitzroy as they piled on eleven unanswered first half goals, with Alexandra Gummer & Em Coppock both finding the net five times each, as well as a Rebecca Berry goal leaving everyone wondering just how many it would be. Greenvale got a goal back early in the second half through youngster Chloe Taliadoros, but it was all the joy that would be had, as Fitzroy added another eleven goals to their tally, with Coppock and Gummer finishing the game with five a piece, while Berry ended the game with five to seal a dominant victory by Fitzroy to ensure they would remain top after round four. 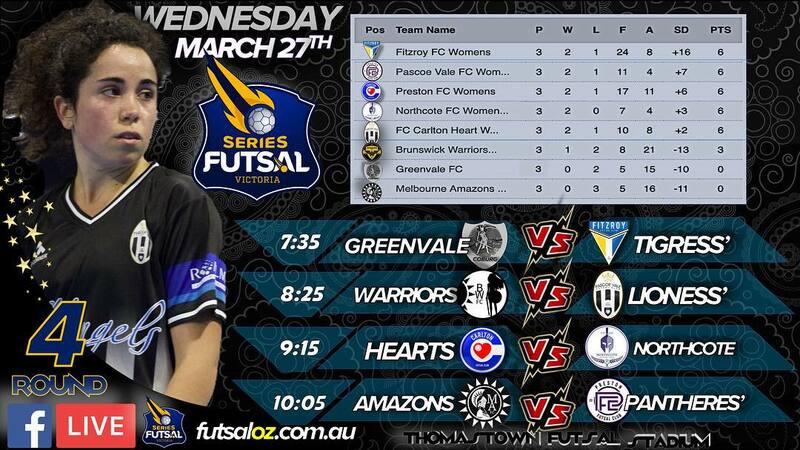 Next up saw Brunswick Warriors face an uphill battle as they took on Pascoe Vale. 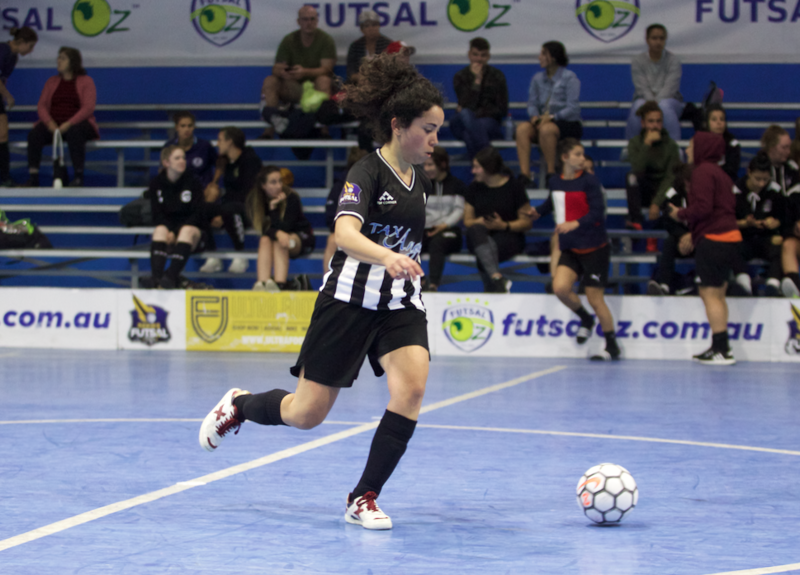 Early on Pascoe were too strong and they put the score on the board as they built a handy 5-1 half time lead, thanks to a Beatriz Gonzalez brace, supported by singles to Jan Mustac, Abbey Flight & Maia Watson Low had the game all but in Pascoe’s hands at the break. The second half was more of the same as Pascoe were all over the Warriors, adding a further six goals to no reply, with Gonzalez bagging a hat trick, while Parthimos, Watson Low & Mustac all brought up braces, as the ten goal win for the Lioness’ was a good boost for their goal difference in what is proving to be a very tight, title race. Next up was a big one, in terms of the title race, as Carlton faced Northcote. A must win for both sides, it was Carlton who took an early lead thanks to a Rebecca Saber strike as the Heart held the advantage early. 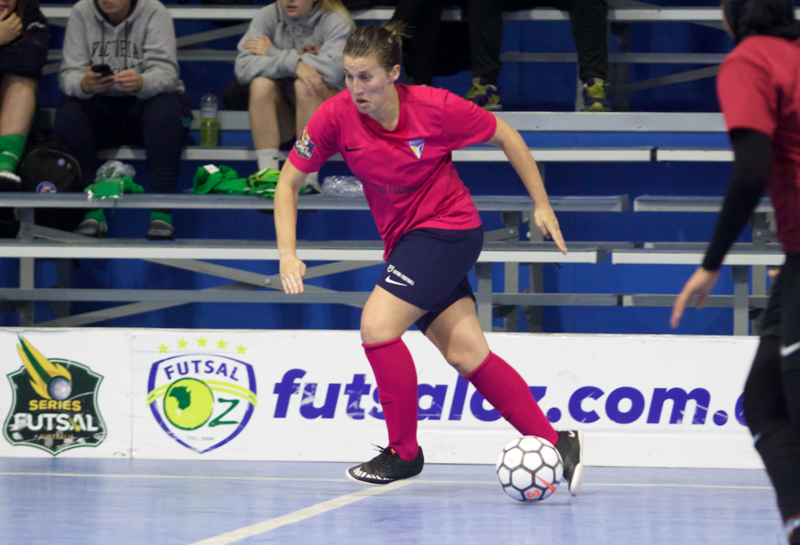 Northcote regrouped and found the net three goals to no reply, with Daniella Galluccio, Camilla Fresneda & Eleni Fakos all finding the net to have Northcote 3-1 to the good at the break. Carlton were on top early in the second half, but a number of fine saves from Fonua continued to deny the Heart. Soon after they found their way through as Savanna Anastasopoulos slid in to convert and have her side back within a goal. 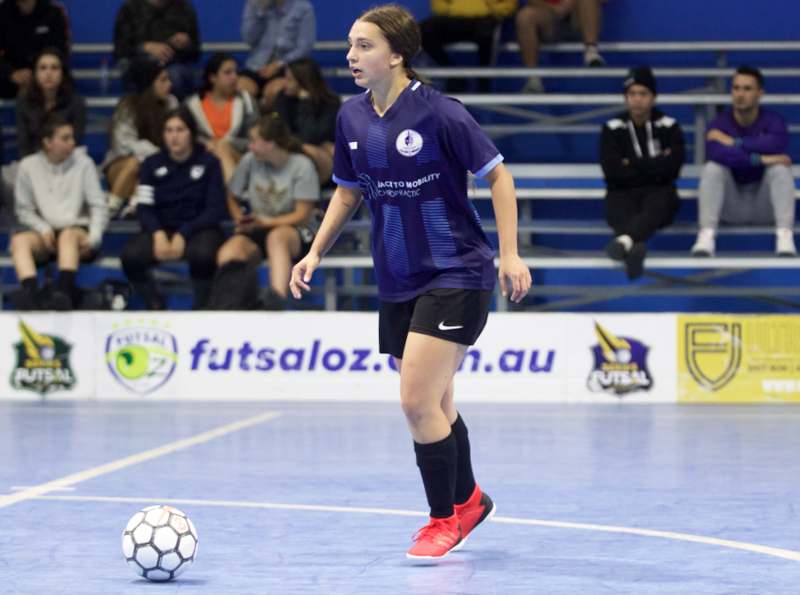 It wasn’t to be though with Camilla Fresneda finding the net for a second time to seal the win, before Candice Koranias got a late goal to ensure Northcote would take a vital win. 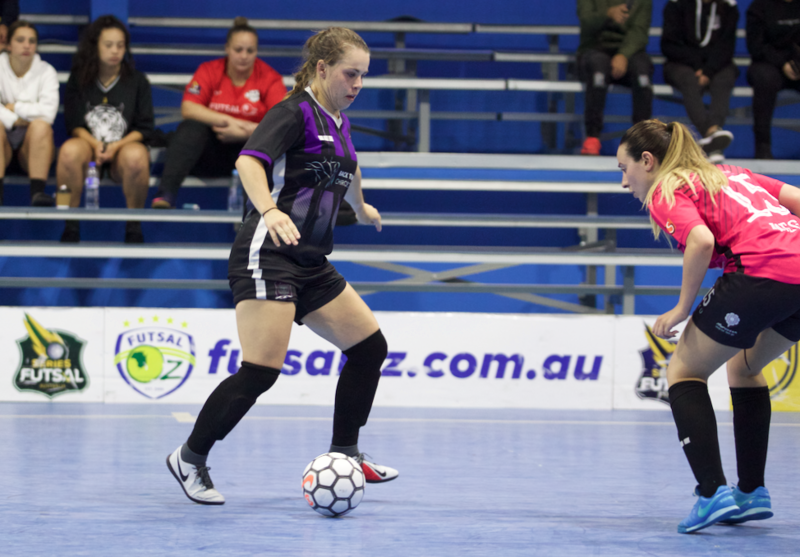 The final game of the evening saw the top two sides from last seasons division two go head to head as Melbourne Amazons faced Preston. Some great games were shared between the pair already, and this looked no different with a fast start from both sides seeing Preston edge the scoring as Sidney Allen grabbed the opener to give her side the lead, before Allen struck for a second time to have the Pantheress’ two goals ahead at the break. Early in the second half Amazons got a goal back through some lovely feet from Laila Abdullatif setting her up to score and halve the deficit. Preston would restore their two goal cushion though and got another goal, this time through Nat Italiano to have Preston in pole position for the win. The party tricks came out late on as a scizzor kick from Nat Italiano sealed the deal for Preston as they record another win.